Apply now. It's fast, easy and secure. Dr. Potter is a board certified general surgeon and has completed a 2 year fellowship in plastic and reconstructive surgery. 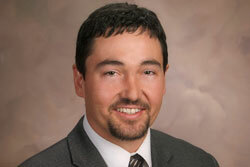 In addition, Dr. Potter has also had extensive training in hand surgery. Dr. Potter’s approach to surgery integrates both body and mind. His guiding principle is to treat you with the utmost respect, help you make an educated decision, and to provide you with the finest medical services in the safest, most professional and comfortable environment. 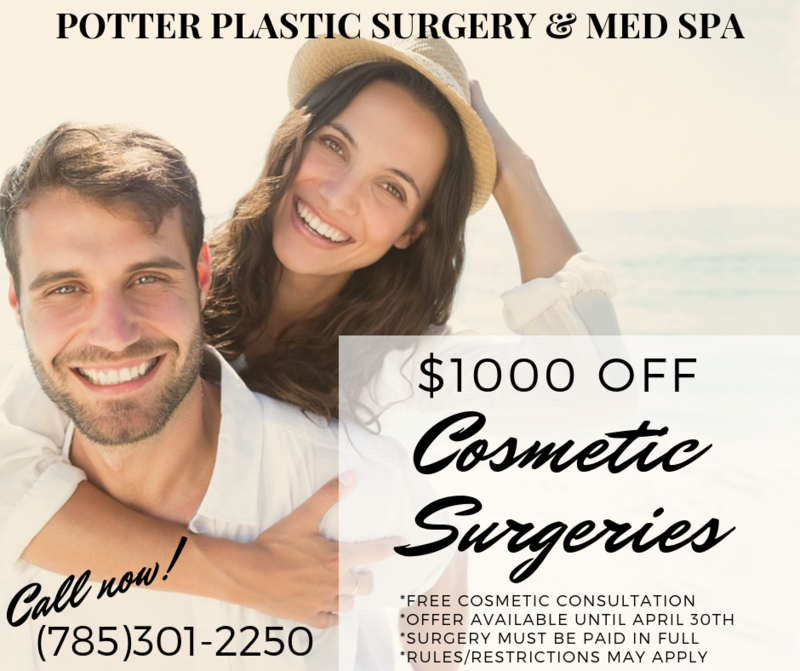 Schedule your free cosmetic consultation with Dr. Potter today. 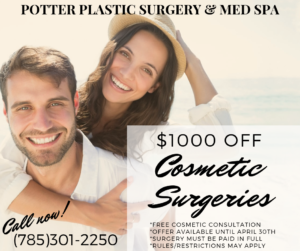 At Potter Plastic Surgery & Reconstructive Surgery, we hold a deep understanding of the important role that physical image plays in life, yet we never lose sight of the emotional health of our patients. Dr. Potter combines today’s innovative treatments with time-tested, classic techniques to achieve the most successful results possible. We will work with you personally, to first determine what you wish to achieve cosmetically and then use all of our skills, talents and technological capabilities to help you achieve these goals. Finally, we will provide unparalleled follow-up service to ensure you realize your desired results as well as peace of mind. Our practice is built upon personalized, quality care, providing optimal results for our patients. We offer a wide variety of cosmetic procedures, including breast augmentation, tummy tucks, liposuction, facelift surgery, and many other options to help you achieve your desired look. For patients who prefer a less invasive approach, we offer Botox®, Dysport®, Juvederm®, Restylane®, and Radiesse®. 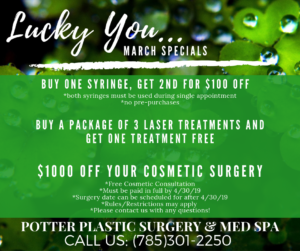 We invite you to contact our practice today to schedule your free cosmetic consultation with Dr. Potter. You can discuss your goals and together come up with a plan to achieve the look you have always desired.